Ahh Wednesdays…those little speed bumps in the middle of the week. You’ve been working hard for two days, and you’re edging closer to the weekend. 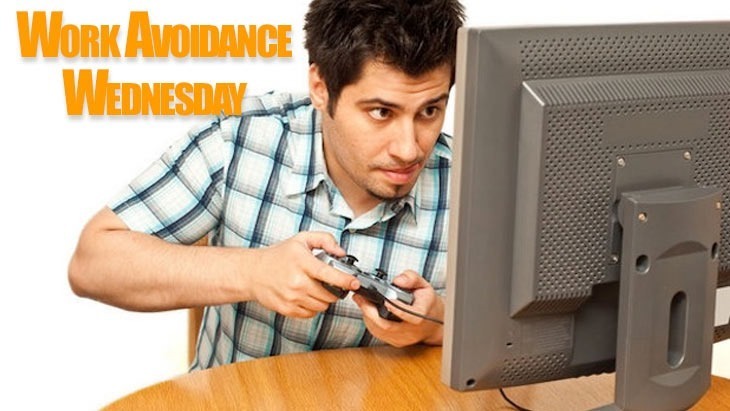 The last thing anybody actually wants to do on a Wednesday is actually work, so here’s our devious plan to help you with your wabbing, or work avoidance behaviour. 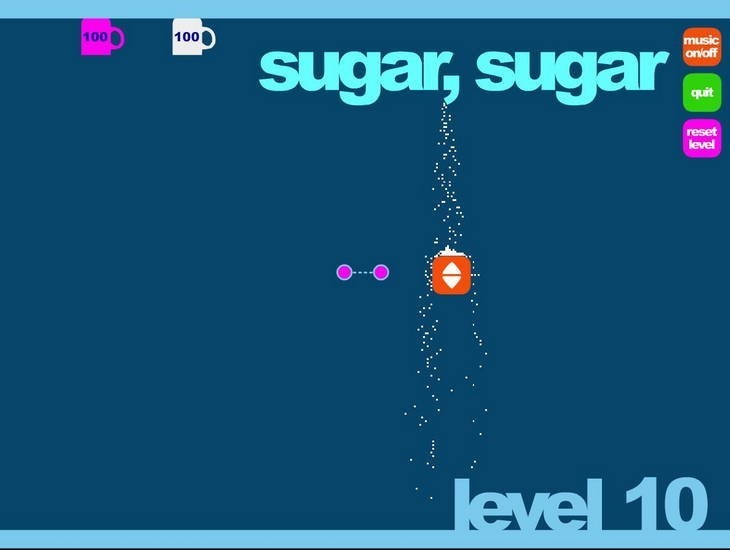 This week, that game is the old but delightfully clever little logic and puzzle game, Sugar, Sugar. It’s a simple one; little granules of sugar pour out from the top of the screen, and it’s your job to get a certain number of them in to a cup. You’ll do this by drawing a line with your mouse, allowing you to funnel the little granules in whatever direction you so please. It starts out quite simply; all you need to do is draw lines. 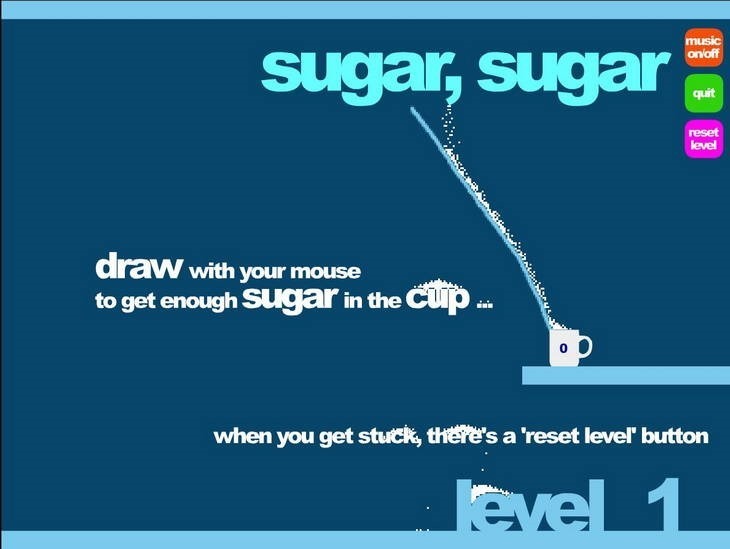 It soon becomes just a little more challenging though; the little bits of sugar become limited, so you’ll need to plan properly – and then more little obstacles start happening. You’ll need to pass the sugar through filters, changing their colour, and making sure the right colour granules go the right cups. You’ll start encountering reverse gravity, where you’ll need to switch to get the stuff going where you need it. Later on, you’ll start having to direct the stuff through portals, making for what would be a maddening experience – if not for the chilling, relaxing music that puts you in a transcendental mental space. 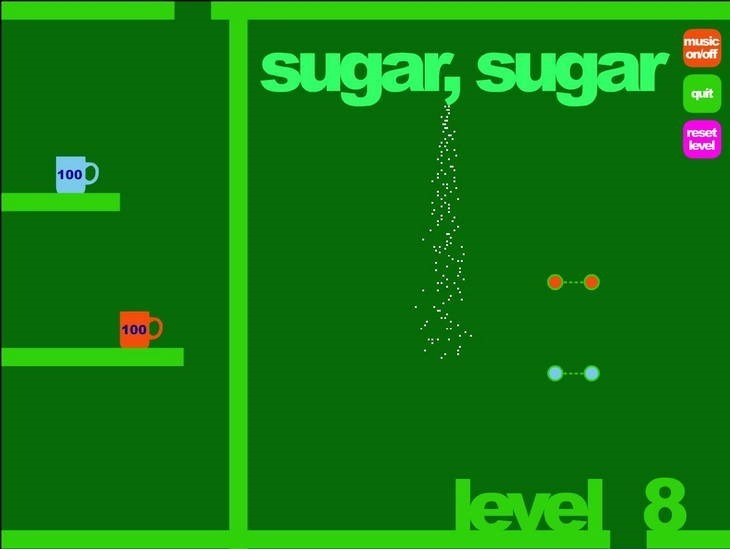 You can play Sugar, Sugar here. Tell us how you go.